At the 2018 iPhone launch event, Apple unveiled the all-new Apple Watch Series 4. Priced starting at $399, the Apple Watch series 4 brings a huge list of significant improvements over the last generation. Here, we’ll be taking a closer look at the Apple Watch Series 4 and all that it has to offer. Starting off, the all-new Apple Watch Series 4 sports a 30 percent larger display than the previous gen Apple Watch, while managing to be 40 percent thinner than the last generation with less total volume. The Apple Watch Series 4 comes with a redesigned Watch OS 5 which makes use of the updated hardware to deliver more features than ever before. Talking about hardware, the new Apple Watch Series 4 is powered by a fourth gen processing unit which Apple calls S4 which is made up of a 64-bit dual-core processor and a new GPU. Thanks to the updated hardware, the new Apple Watch is claimed to be two times faster than the older generation. The Apple Watch also includes a new accelerometer and gyroscope setup that unlocks a feature that hasn’t been seen in any smartwatch before. 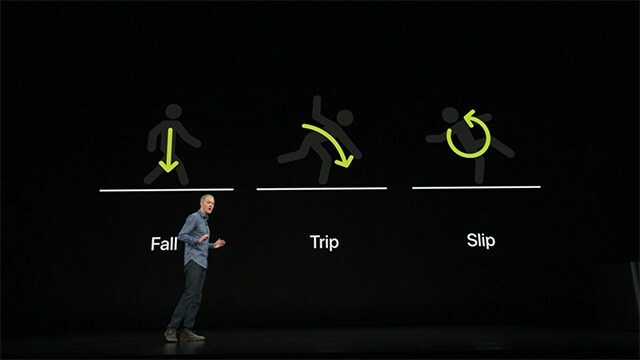 Thanks to the upgraded accelerometer and gyroscope, the new Apple Watch will be able to detect if the wearer falls down, delivering an alert and initiating an emergency call in case the wearer stays immobile for a minute. 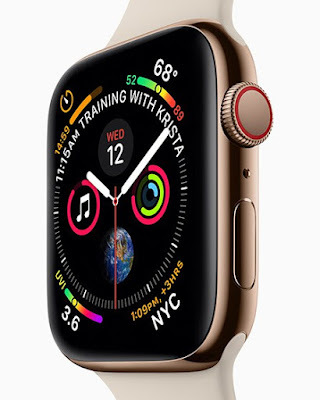 The upgraded Apple Watch Series 4 also features an optical heart rate sensor that is capable of performing more functions, including a low heart rate notification and a notification of an irregular heart rhythm. 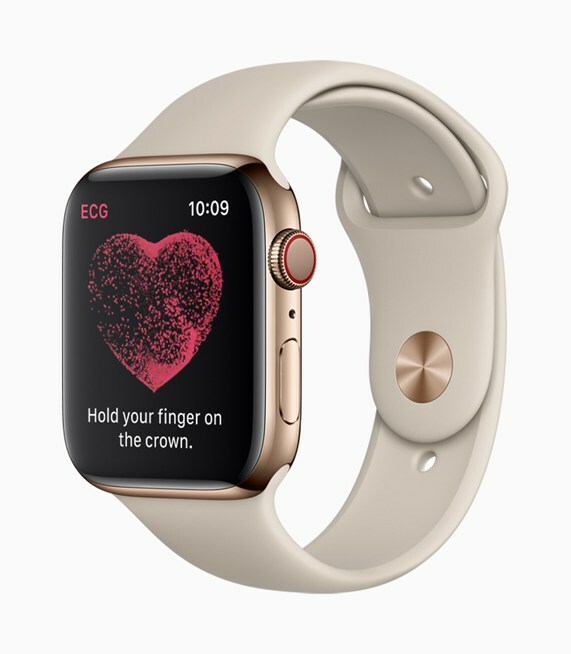 The Apple Watch Series 4 also includes a new electrical heart rate sensor, making it the first ever smartwatch that is capable of delivering FDA-approved ECG test results within minutes. All you need to do is hold your finger on the crown for 30 seconds and the electrodes within will collect all the required data to deliver an accurate ECG report. The Apple Watch Series 4 is also capable of detecting atrial fibrillation, a feature which has also been approved by the FDA. Talking about privacy, the new Apple Watch Series 4 will ensure that all your health and fitness data remains safe from prying eyes. According to the company, all the data collected by the smartwatch is encrypted on the device and on the cloud so you can rest assured that it won’t be misused. Apple made a big deal about privacy, without mentioning Google or any of its competitors, and the fact is that watchOS 5 does bring new features without compromising on the data security. Even with all the new features, the Apple Watch Series 4 will be able to deliver the same 18-hour battery life as the previous generation, with an increased outdoor workout time of 6 hours. watchOS 5 on the Apple Watch Series 4 will have a redesigned UI, new customizable watch faces which will allow you to completely personalized your Apple Watch to your preference. 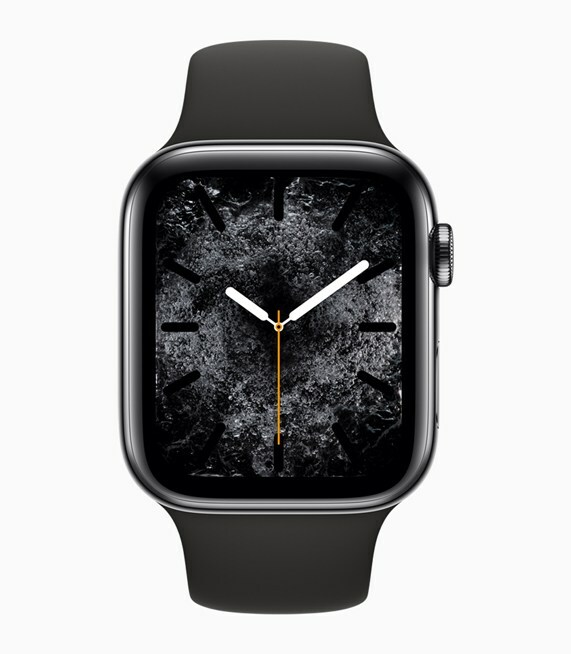 Apple introduced new watch faces that react and interact with the edges of the screen for a more realistic and immersive experience. You’ll be able to add images of loved ones to the watch face, add different time zones if you’re traveling, and add other animated watch faces. 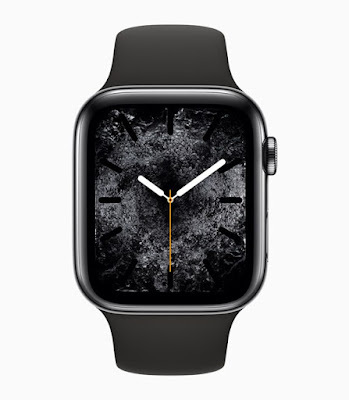 Other cosmetic customizations include a variety of new straps, three anodized finishes – silver, gold, and space gray – along with a striking gold stainless steel variant with a Milanese band. There are also a new collection of bands that are backward compatible and will even fit the Apple Watch Series 3. There’s also a Nike + variant with new full-screen watch faces and a new band made of a reflective yarn for improved night time capabilities. Well, that pretty much sums up everything new that’s coming in the Apple Watch Series 4. The Apple Watch Series 4 (GPS only) starts at $399, with the cellular variant starting at $499. The Apple Watch will go on sale starting September 21, with Watch OS 5 to start rolling out on September 17.